Overall Ultraman Mebius is a pretty good series. It has its slower episodes, but when it gets good it gets REALLY good. Of particular note is the actual EDF team in this series. ; every member of GUYS really stands out, more so than in any past team where they usually all blend together aside from one or two interesting members. All the characters are very fun and likable, and it's great to see how Mebius both references older Ultra series and plays with some of their ideas in new ways. Mebius has a great story that covers the origin and maturation of one of the legendary Ultras of modern times. Five-star worthy? Yes, if it weren't for a few flaws that outshined the main story at times. Some of the actors do quite well, while others made me thank the heavens for the 10-second skip ahead button. It may not have been their fault, however, since each character is given a personality based on a single word (gung-ho/yell, jock, nerd, etc.). What really dropped the rating for me was the 50-episode length which was far longer than the overall story of the show, leading to a lot of episodes that never played into the main story including an entire section of the show dedicated to a technology that was hardly used at the end of the series. If you want to get into Ultraman, this is easly the best one to start with. It both introduces you to quite a few Ultramen as well as has an amazing story that wraps up perfectly. 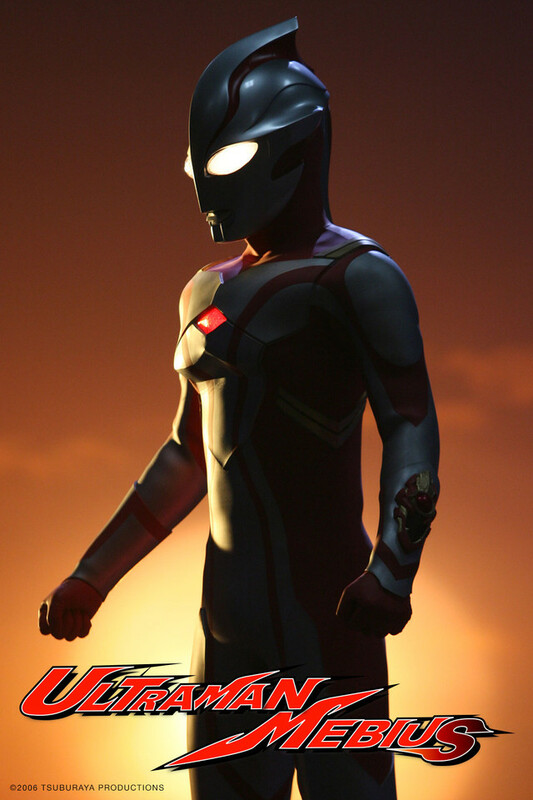 Mebius, a very young Ultra himself, is naive and in love with humanity. You see his struggles and triumps as he fights for the sake of everyone's lives. The character development over the course of the series is quite staggering and enjoyable, and the cast themselves do an amazing job. The ending was just so so good. I was fighting back tears honestly. Hightly recommended! After series such as Tiga, Dyna, Max and others branched into other universes, Mebius returns us to the original Ultraman universe that began back in 1966. For those that wonder why Mebius loses a lot of fights, it is because he is a new/rookie Ultraman sent to Earth to learn and grow. The original Ultra, and some of the others were already veteran fighters in their series. the characters in this series receive some nice development and the series is loaded with Easter egg/tributes to the previous Ultra series from Ultra Q to Ultraman 80. Also this series gives us the added bonus of the previous characters showing up in some episodes, with the added treat of the previous actors playing their human forms reprising their roles, including the honorable Susumu Kurobe aka Hayata, the Original Ultraman! Enjoy the series and I await the 50th anniversary with great anticipation. My 1st and Favorite Ultra series! This was the first Ultra series I saw that finally introduced me to the franchise and after recently re-watching it, I love it just as much as I did the first time! It's also great to see a legal subbing company being given the chance to properly sub with without having any legal trouble (which Tsuburaya has been known for and is still the major reason why none of its previous DVD releases (save for Tiga) have gotten a proper "legal" release.) Hope to see more from the Ultraman franchise soon! I also hope some of the Gaidens/Side Stories/OVTs get subbed too like "Armored Darkness" and "Ghost Rebirth!" A nice, Light-hearted Ultraman show. Ultraman Mebius is one of the tightest Ultraman shows around. It builds on the series formula and plays with it, it has a great cast, and it features excellent SPFX and designs. While sometimes the comedy elements and more light-hearted tone of the show detracted from some of the more emotional moments, all in all it is a great watch. Well rounded characters, great battles and a respect for a deep history of the franchise make this one of the essential viewings for anyone who is a long-time fan or new to the series. It's a great series and a lot of fun. Really want this series on DVD! Imo this was one of the best series out there... a must watch but I have to ask why'd he lose so many times? Still cant get my head around it. Compared to Ultraman Dyna, Tiga and Gaia which was that they were all chosen to be a host but Mebius he was ultraman in human form. Some say Nexus is the best, but Mebius excels in delivery. The characters are fleshed out, the acting is good, and the main hero is adorkable. Most of the fight scenes are good, and the series manages to maintain a tone balance between Nexus and Max. All in all, this is one of my favorite Toku series, a true must watch. Mebius!